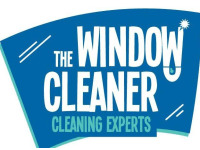 Window cleaner based in Bangor with over 24 years experience. I have no hesitation in recommending this window clearner. He is a good old fashion window cleaner . He gets up a ladder wipes your sills and leaves your windows b!eamng and not for a day or two .I kid you not whatever he puts in his bucket they gleam all Month. A hes a really nice guy to boot. Great and friendly service. Highly Recommended. Great service with a smile. Very polite and professional with competitive prices too!! !